There is always so much to see and do in The Valley! This past weekend alone, I attended three events in one day. I started the day off with a few hours at Army Heritage Days on the Heritage Trail located at the US Army Heritage & Education Center. This annual event has grown so much in the past few years they had to extend into Sunday. I can understand why - it truly is a great family event. The unique blend of history, education, fun and hands on experiences is hard to replicate. It is also very child friendly - whether the child is your 4 year son or 40 year old husband (I&apos;ve never seen so many men with cameras!). 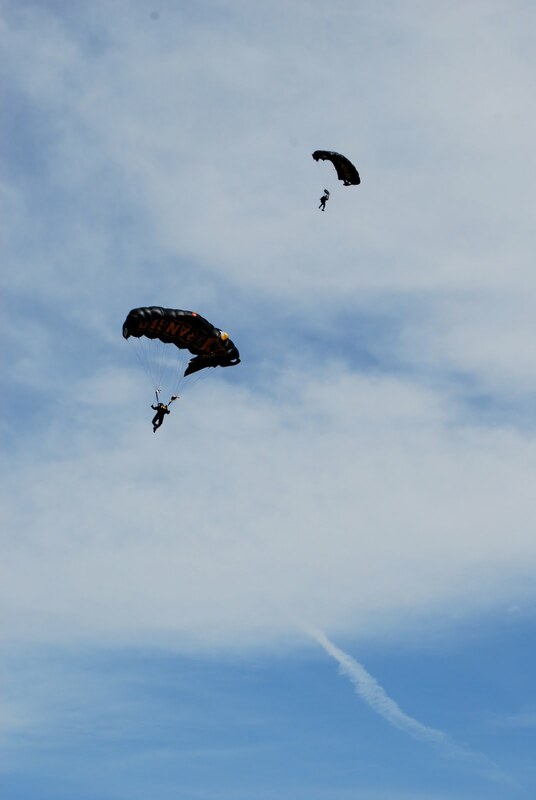 My favorite part of the event was the parachute demonstration. Next, I headed to the Greek Festival of Holy Trinity to get some lunch. The event is focused around food (yum!) but also boasts tours of the church, dance demonstrations and a small indoor flea market in the basement. I had never tried authentic Greek food before, and I ended up in a line for something I could not pronounce. It was for a hard Greek cheese that was deep fried, covered in Brandy, set on fire, then served with a pita and lemon. After that, it was an ice cream sundae with a rich vanilla ice cream and crumbly cinnamon topping. The long lines indicated that every other food offered was at least as delicious as my samplings. To end the day, it was the Mechanicsburg Art and Wine Walk. I wish that I would have made it there sooner - the glasses were pretty much sold out. One of the three locations selling the glasses had a handful left, and I was surprised with just how pretty the last ones picked were! Throughout the walk I received several compliments from shop keepers who hadn&apos;t seen any other glasses like mine. I got to pop into a couple of places I hadn&apos;t visited before (I had no idea the Warm Hearts Cafe was so cute! ), and sampled a nice variety of wines. My favorite was the Tears of Gettysburg from Adams County Winery that I sampled at Civil War and More. The Steam Engine Show was this weekend too, but I was just too tired to make it. Did anyone else get a chance to go check it out?